Hello, I’m baaaaack. Slightly new user name. 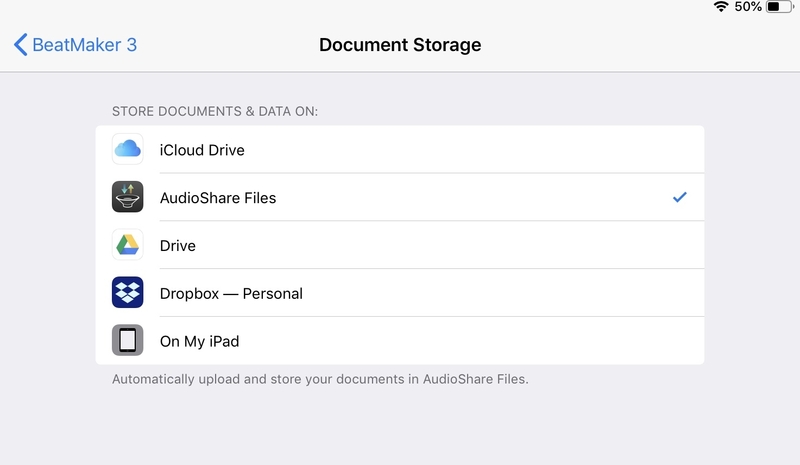 Anyway apologies if I haven’t searched hard enough, but I’m curious to know about these settings, especially AudioShare one. I mean, I’d love it if I could keep all my samples in one place (AudioShare) and was wondering if this is what this for (but when I tried nothing seemed to happen) or is it something else? Nobody has ever been able to decipher this, we collectively decided that this is overidden but IOS 11+ with its files support. Note though that storing in audioshare is a bad idea because audioshare does not support move, it copies when you try to move, creating duplicates, the developer has been told, he said it was not the case, he was told again by multiple people, still said it wasnt the case, got sent videos by multiple people, then stopped replying. Ok that’s what I figured (it doesn’t do anything!). Ah yes... and see your point re copying / moving. Ok. I’ll stop poking around this area 🙂. Cheers.